Buying speakers can be a lot of fun but for most of us does not happen too frequently. So when the time comes you’ll want to be prepared and spend plenty of time auditioning speakers as you’ll likely live with them for a while. 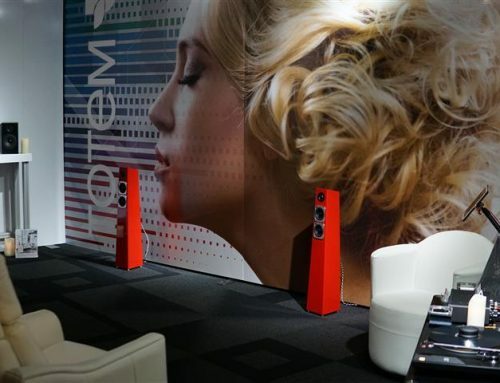 One typically bases their buying decision on a number of parameters such as how well the speakers perform, how much they cost, their physical size, aesthetics and specifications. Speaker specifications are typically noted right on the speakers or in the accompanying product literature. What has always surprised me is how many people base their loudspeaker buying decision largely on specifications, in particular the “frequency response”, yet they really don’t have an understanding of what the specifications actually mean. In this article I will walk you through basic speaker specifications which will help you to better understand how to interpret speaker specifications to aid in your future speaker buying decision. 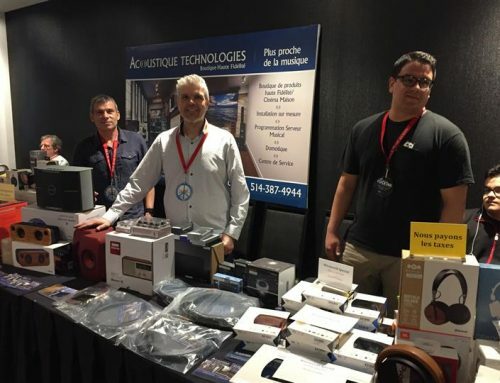 There is a good deal of confusion that surrounds loudspeaker specifications which seems to stem from a combination of limited information, different test methods and a lack of consumer knowledge. Some specifications are intuitive and easy to understand, such as dimensions, weight, type of speaker enclosure and crossover frequency among others. The purpose of this article is to explain the more technical, and often misinterpreted, specifications including speaker impedance, sensitivity and frequency response. The loudspeaker’s impedance is the AC resistance of the loudspeaker to the audio signal from the amplifier. Most loudspeakers have an impedance rating that falls between 2 and 16 ohms, with 4 and 8 ohm impedance ratings being the most common. The impedance specification is often a source of confusion. Part of the confusion stems from the fact that the loudspeaker’s impedance will vary (sometimes significantly) with frequency. In contrast, only one value of impedance will be noted in the specifications. Impedance is most often measured at 1 kHz but unless this is stated in the specifications, you won’t know for sure. The reported impedance specification could also be the average impedance across the frequency response. Given this variability, one should not put too much emphasis on rated impedance and it should only be used to give you a general idea of how the speaker will load your amplifier. A higher impedance speaker will require high voltages and less current from the amplifier, which is generally considered less demanding on an amplifier. A lower impedance loudspeaker requires high current and lower voltage, and is considered more demanding on an amplifier. Use the speaker impedance specification to determine if your amplifier can drive the loudspeakers. Some amplifiers will not be able to drive lower impedance loudspeakers so be sure to check the speakers rated impedance against the allowable amplifier ratings. The sensitivity specification of a loudspeaker is one of the more useful specifications. It will give you a general idea of how loud the speakers can play and how much power will be required to achieve desired listening levels. Speaker sensitivity is the measurement of the amount of sound pressure that the loudspeaker will produce (i.e. how loud it will play), at a distance of one meter, when only one Watt of power is applied from an amplifier. Sound pressure is typically measured in Decibels (dB). Consider a speaker that has a rated sensitivity of 93 dB/1W/1m. This sensitivity means that at a distance of 1 meter from the speaker, the sound pressure level (SPL) will be 93 dB when 1 Watt of power is applied. There are a couple of general rules to remember that will let you put the sensitivity specification into context. For every extra 3 dB of SPL that you would like, you need to double the input power. So if we consider a loudspeaker with a sensitivity of 93 dB/1W/1m, at 1W of power the SPL is 93 dB, 2W is 96 dB, 4W is 99 dB, 8W is 102 dB, 16W is 105 dB and so on. In comparison to a loudspeaker that has a sensitivity of 84 dB, you would require 128W of power to achieve a sound level of 105 dB. It is also useful to remember that SPL is on a logarithmic scale, so every increase of 10 dB sounds about twice as loud to our ears. What this translates into while speaker shopping is that a lower sensitivity loudspeaker will generally require higher powered amplifiers. 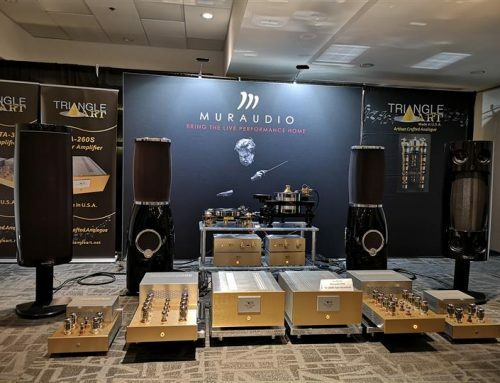 Owners of very low powered amplifiers like those based on single-ended triodes (SET) will pay a lot of attention to the sensitivity specification as they hunt for speakers with very high sensitivity. Of all the loudspeaker specifications, the frequency response is the easiest one to take out of context. The frequency response is used to describe the audible frequency range that a loudspeaker can reproduce. Audio frequencies are measured in Hertz (Hz) and the theoretical range of human hearing is generally regarded as being from about 20 Hz (the very lowest bass tones) through 20 kHz (the very highest treble notes). It may seem logical to presume that a loudspeaker capable of reproducing all or more than the audible frequency range would be best. But this is not the case, so don’t fall into that trap. Consider an example where the frequency response of a bookshelf speaker is noted in the specifications as “55 Hz to 19 kHz”. Note that the frequency response specification in our example does not include an amplitude tolerance. Therefore we cannot be certain if 55 Hz represents the -3 dB point, the -10 dB point or some other point altogether. Fortunately it is quite common that an amplitude tolerance will be noted along with the frequency response specification and it will often be defined as +/- 3 dB. The inclusion of an amplitude tolerance in our bookshelf speaker example indicates that the amplitude of the speaker response relative to frequencies between 55 Hz and 19 kHz does not deviate by more than plus or minus 3 dB. To put this amount of amplitude change into context relative to our hearing, a change of 3 dB is generally considered to be barely perceptible. Without an amplitude tolerance one can only guess as to what the frequency response means. But even when the frequency response is put into context with an amplitude tolerance the specification still does not give any real indication of how well the loudspeaker performs. At best, the frequency response specification of a loudspeaker should only be used to give a general indication of how high the treble frequencies will reach and how low the bass notes will hit. 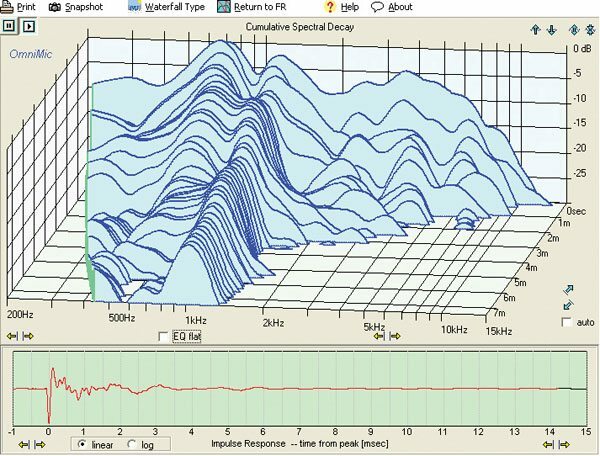 To get a better indication of how a speaker will perform, you will need to look at Frequency Response plots, Cumulative Spectral Decay plots and Impulse Response plots. 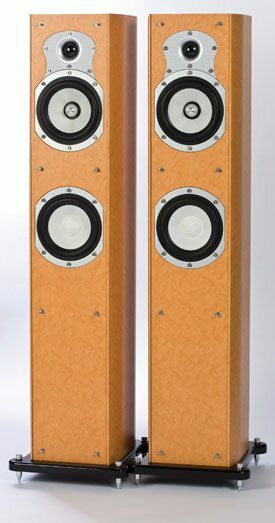 You may be able to obtain these from the speaker manufacturer or find them as part of a speaker review. Figure 1: A Loudspeaker’s Frequency Response Chart (or a frequency vs. amplitude plot). A frequency response plot is generated by using a calibrated microphone placed directly in front of the speakers. The measurements are typically made in an anechoic chamber (a room with no reflective surfaces). A sample frequency vs. amplitude plot is shown in figure 1. The frequency response plot can be used to show how strongly a loudspeaker reproduces sound across the frequency range. The curve will be higher on the plot at frequencies where the loudspeaker system plays louder, and lower at frequencies where the speaker is not as loud. Typically a loudspeaker will have variations from 3 to 30 dB, often dropping off very rapidly at very low bass and very high frequencies. Ideally a perfect frequency response plot would look like a flat line across the entire frequency range. A frequency response plot that is predominately flat will generally reproduce all of the musical tones at the same level. A flat response plot is generally good, indicating that the loudspeaker reproduces sound accurately. But since inevitably the response will not be flat for any speaker, another positive characteristic to look for is a smooth response curve between the amplitude variations. A smooth response curve will literally sound more smooth and natural. You will want to avoid plots that show rapid swings in amplitude across a short span of frequency. The frequency response plot however does not show the critical third dimension: time. Examining plots that consider time will give us a visual indication of how a loudspeaker responds to a dynamic impulse. For example, consider a loud thump from a kick drum. When attempting to reproduce this thump the loudspeaker should start instantly and stop the very instant the kick drum stops making sound. If the bass speaker continues to resonate and make sound after the thump has stopped, the loudspeaker is not accurately reproducing the thump by colouring the original sound. The lower portion of figure 2 shows a typical measured impulse response. The plot shows that some sound persists after the impulse input has stopped (i.e. the speakers resonate and “ring” after the impulse). 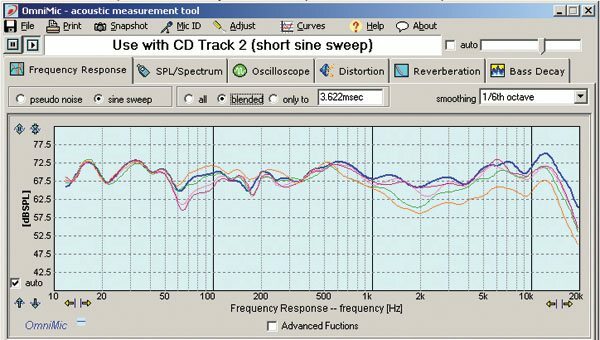 Figure 2: The top part shows a speaker’s Cumulative Spectral Decay (CSD) plot. The bottom part shows a speaker’s Impulse Response. In order to get a visual representation to what extent and at what frequencies the loudspeaker “ringing” is occurring, a Cumulative Spectral Decay (CSD) plot which shows the measured response of a speaker in frequency, amplitude and time is used. In the CSD waterfall plot the third axis is time, so the lines closest to you are measurements taken later in time than the lines further back into the plot. The perfect CSD plot would look like a straight line at the back with no lines towards the front. The CSD plot in the top part of Figure 2 shows that most of the resonance is occurring around 1 kHz. Understanding how to read speak specifications is important and while the specifications can give you some general ideas about the loudspeaker, they alone cannot be used to gauge performance. A frequency response plot could be more helpful, but it does not consider the critical element of time. No matter how good you may be at interpreting loudspeaker data and CSD plots, this data was collected in a room free of reflective surfaces. Thus one should not take specifications and measurements too seriously, but rather use them to assist when looking for a speaker. I use the specifications and frequency response data to eliminate speakers that will obviously not be satisfactory for me. Once those are out of the way then I can settle down to some careful auditioning and make an informed buying decision.